#339 BASE/COLUMN CAP, 18” x 18”, 4” Thick (82 lbs.) (Shown with medium sphere – sold separately.) 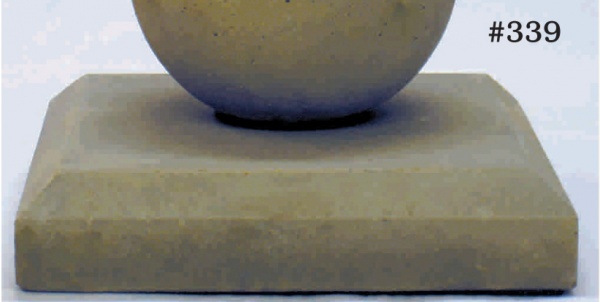 The base/column cap is also perfect for attaining height under our planters. The optional center pipe provides drainage and secure attachment.